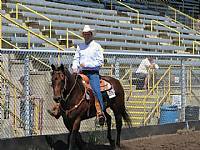 Picture taken May 2010 at the Cardston Derby. Thanks Cowgirl Creations for the photos. Currently open for 2018 and back in the riding pen. Cat is confirmed in foal to Dunit Ok for a 2019 foal. CAT as she is known here, is an exciting purchase for us February 20, 2010. She is a welcome addition to our small herd. She has become a hot commodity here with both Shawn and I wanting to show her. We will see what we can accomplish with two different riders, riding two different styles. I think she is up for the challenge and seems very willing to try to accomodate. I can't say enough good about Cat. She has just a super disposition and everyone who sees her falls in love with her. She is so easy to get along with and very willing to take direction. She has such beautiful movement, you could lope her all day, it's just like sitting in a rocking chair. She has such stylish movement with every manuever asked of her. CAT has everything we are looking, her pedigree speaks for itself, great confirmation, athletic ability, trainability and most importantly disposition and willingness. She has produced 2 outstanding foals to this point. Both foals have a strong resemblance to her looks, ability and movement. 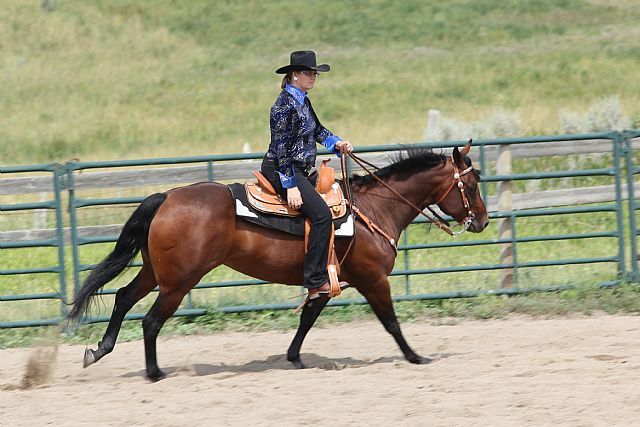 1st Place - Western Pleasure - Maiden Horse (24 entries with Shannon showing). 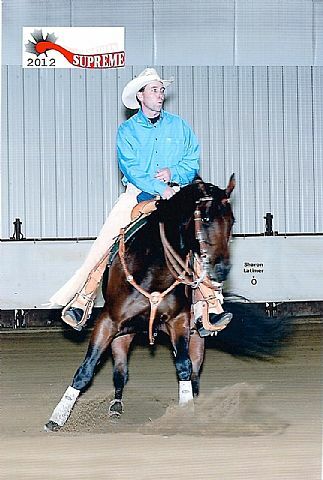 2nd Place - Open Reining (20 entries with Shawn showing). 3rd Place - Western Pleasure - Senior (21 entries with Shannon showing). 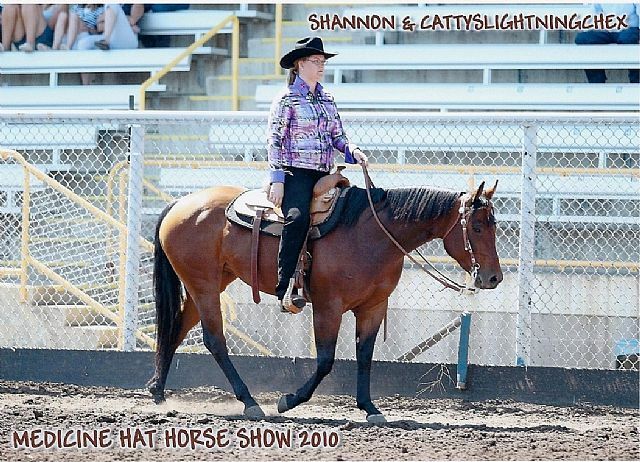 4th Place - Western Pleasure - Junior Horse (21 entries with Shannon showing). 1st Place - Western Pleasure - Open (17 entries with Shannon showing). 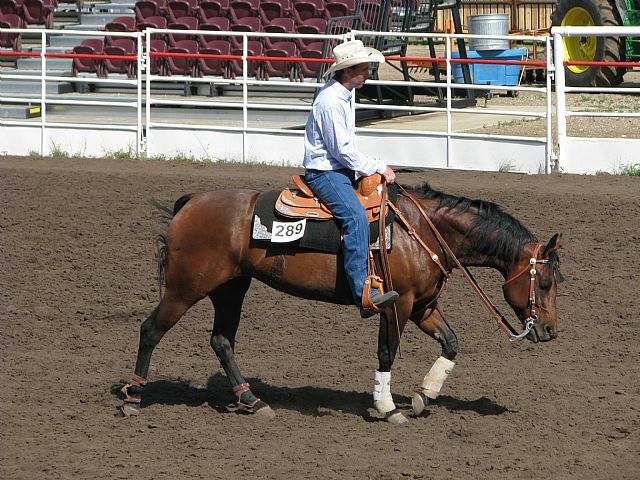 2nd Place - Open Reining (15 entries with Shawn showing). 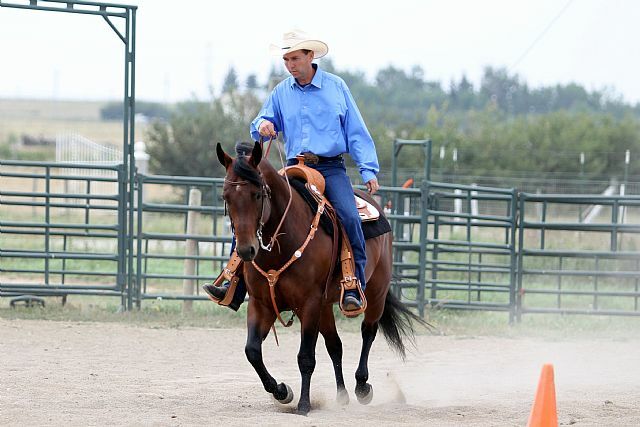 Tied for 1st & 2nd Place - Beginner Horse (9 Entries with Shawn showing). Tied for 2nd & 3rd Place - Ltd. Non-Pro (7 Entries with Shawn with showing). 3rd Place - Adult Trail (8 Entries with Shannon showing). 5th Place - Adult Western Pleasure (10 Entries with Shannon showing). 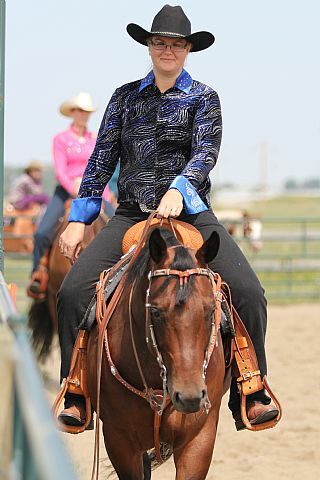 6th Place - Adult Western Horsemanship (10 Entries with Shannon showing). 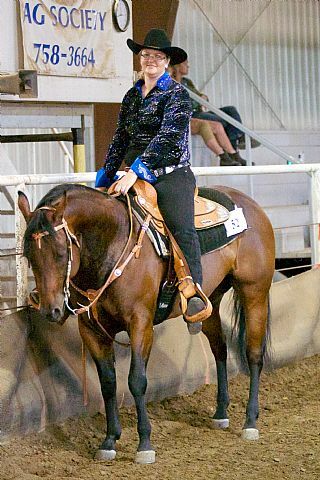 2nd Place - Open Reining (6 Entries with Shannon showing). 1st Place - Lead Line (6 Entries with Lexie Showing). 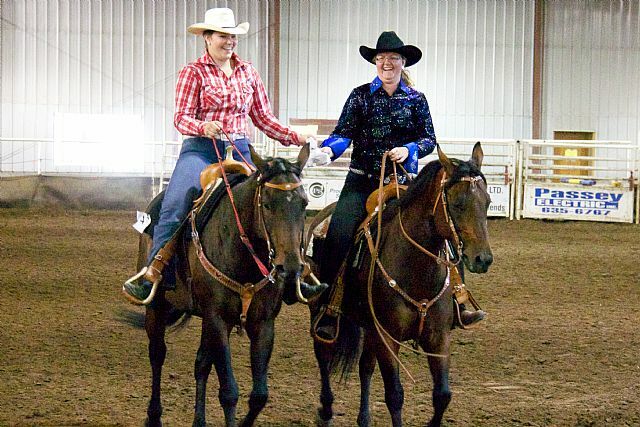 2nd Place - Western Riding Pattern (7 Entries with Shannon showing). 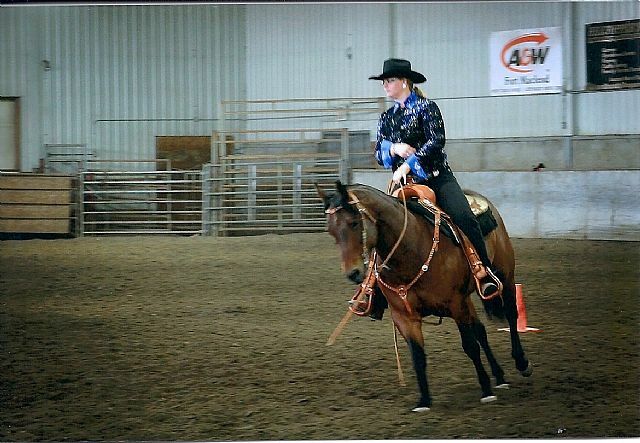 4th Place - Western Horsemanship (6 Entries with Shannon showing). 3rd Place - Western Pleasure - Jr. Horse (6 Entries with Shannon showing). 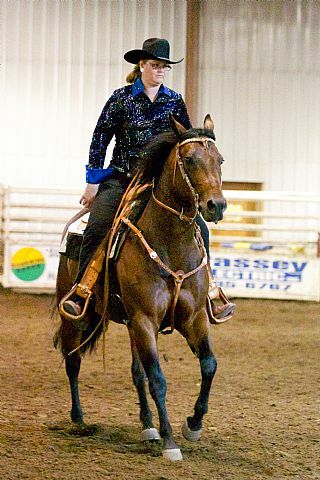 3rd Place - Reining (4 Entries with Shannon showing). 2nd Place - Adult Walk/Trot/Canter Equitation (4 Entries with Shannon showing). 3rd Place - Adult Walk/Trot/Canter Pleasure (3 Entries with Shannon showing). 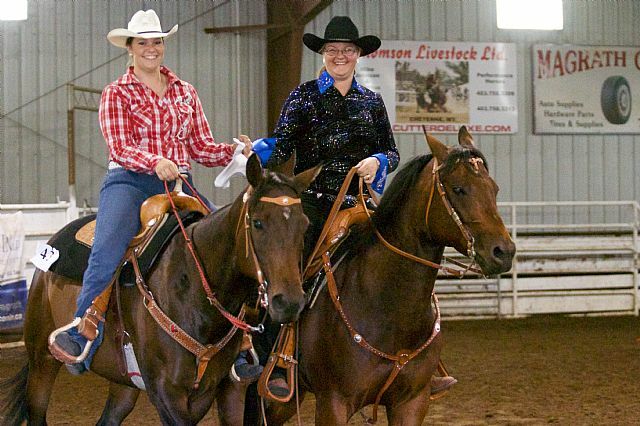 1st Place - Open Reining (3 Entries with Shannon showing). 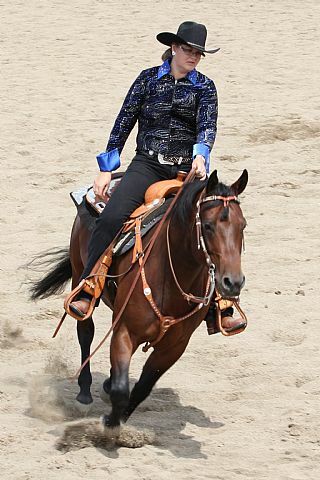 5th Place - Adult Western Horsemanship (9 Entries with Shannon showing). Top 9 - Adult Western Pleasure (19 Entries with Shannon showing). 3rd Place - Senior Western Pleasure (26 Entries with Shannon showing). 1st Place - Pleasure Pairs (5 pairs entered with Shannon showing) partenered with Shawn riding Dunnit Chic. 4th Place - Western Equitation - Senior (28 Entries with Shannon showing). 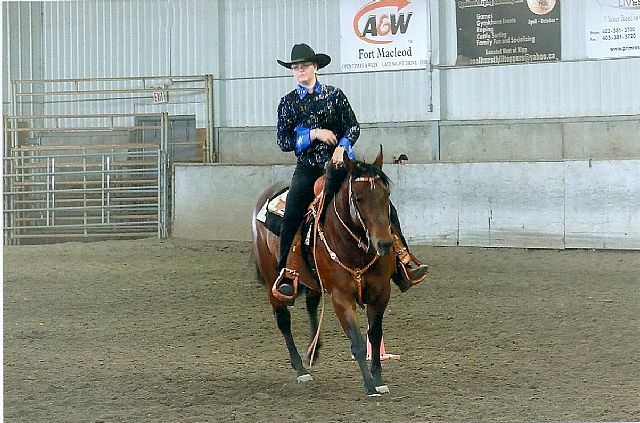 1st Place - Western Horsemanship - Senior (16 Entries with Shawn showing). 1st Place - Western Pleasure - Senior (18 Entires with Shawn showing). 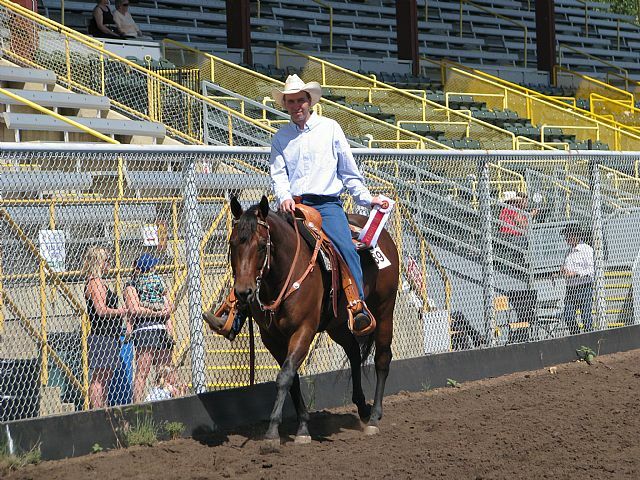 1st Place - Western Pleasure - Stake (10 Entries with Shawn showing). 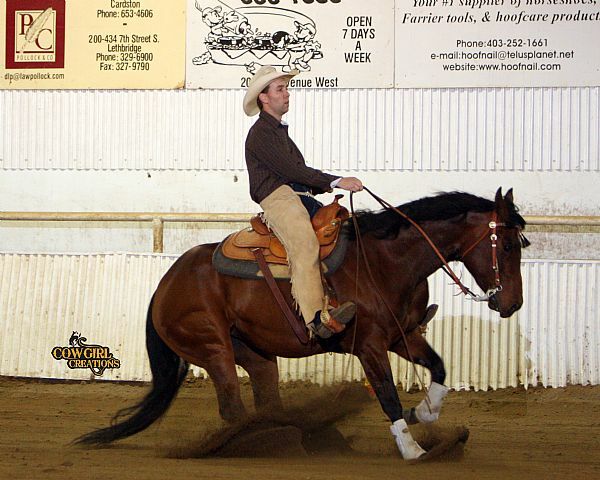 3rd Place - Open Reining - (7 Entries with Shawn showing). No placing but great experience for both horse and rider. 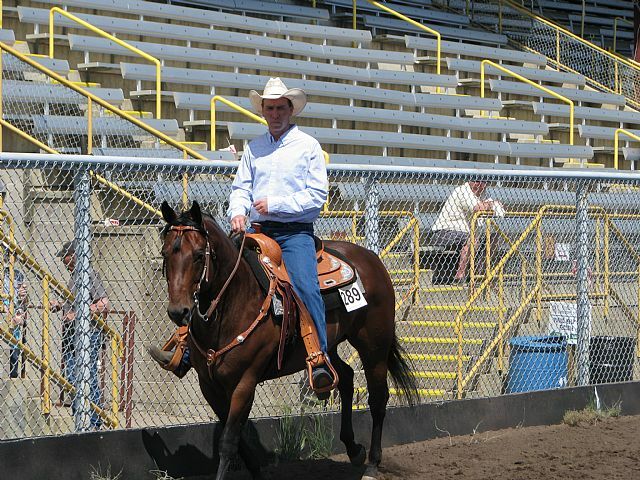 4th Place - Open Reining - (12 Entries with Shawn showing). 4th Place - Open Command - (30 Entries with Shawn showing). 1st Place - Western Equitation - Senior with Shawn showing). 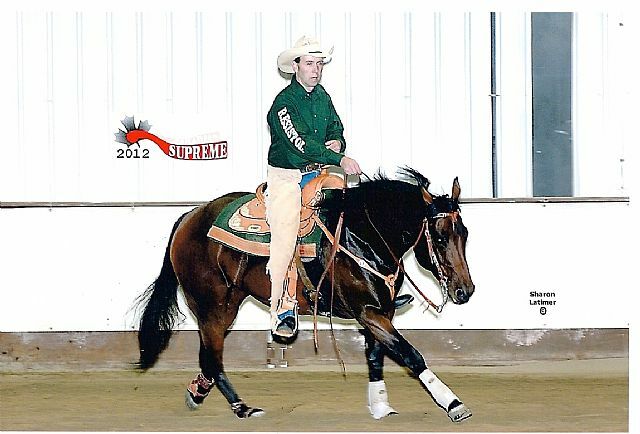 4th Place Western Pleasure Stake with Shawn showing). 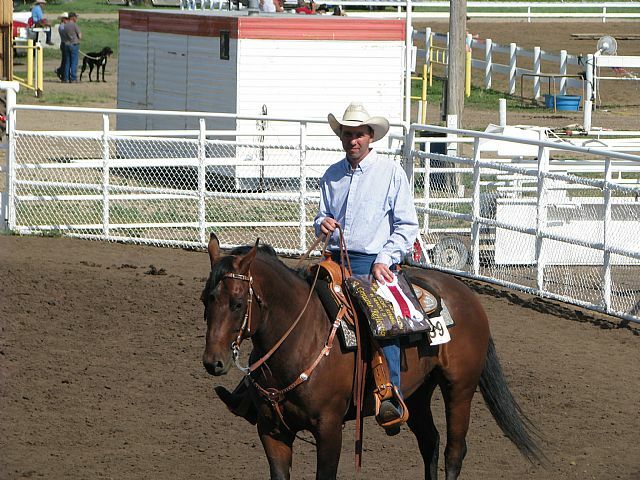 1st Place Open Reining (13 Entries with Shawn showing). 5th Place - Western Horsemanship Senior ( 9 Entries with Shannon showing). 3rd Place - Adult Trail (approximately 10 entries with Shannon Showing). Buckskin `99 - 2002 NRHA Futurity Money-earner. - 2003 Utah and Idaho Open Derby Reserve Champion Novice Horse. - 2004 - North American Affilliate Reserve Champion Novice-Horse. - NRHA Gold Certificate earner. - Multiple Bronze Winner. 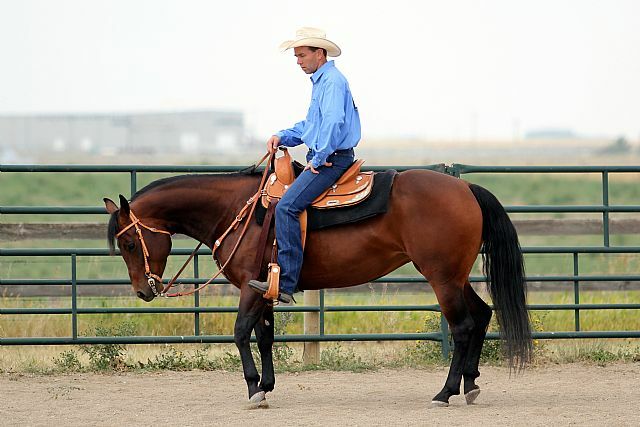 Great-minded, extremely physical stallion with super conformation. Palomino `89 - 17.0 AQHA Performance Points. This stallion needs no introduction. - His foals have earned more that $7.3 MILLION and more than 32,881 AQHA Points. - $3 Million Dollar NRHA Sire. - The ONLY $3 Million Dollar NRCHA Sire. - 2008 NRCHA #1 Leading Sire. - The NRCHA's #1 All-Time Leading Sire and the First $2 Million Dollar Sire and First $3 Million Dollar Sire. - NRHA's #4 All-Time Leading Sire. - NRHA's youngest $2 Million Dollar Sire. - AQHA's #2 All-Time Leading Living Sire of Performance ROM. - Sire of 60 World or Reserve World Championships. 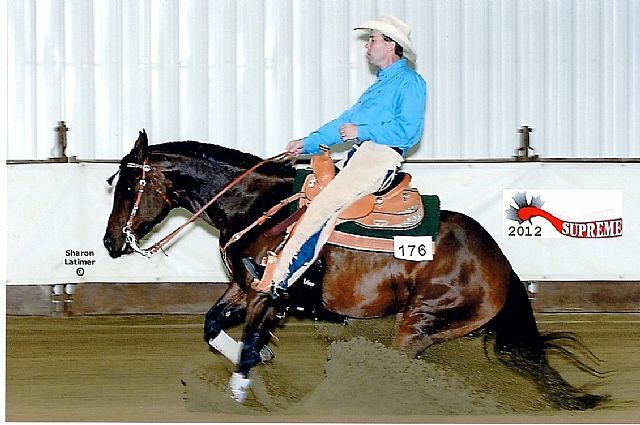 Sorrel `77 - 55.0 AQHA Performance Points. 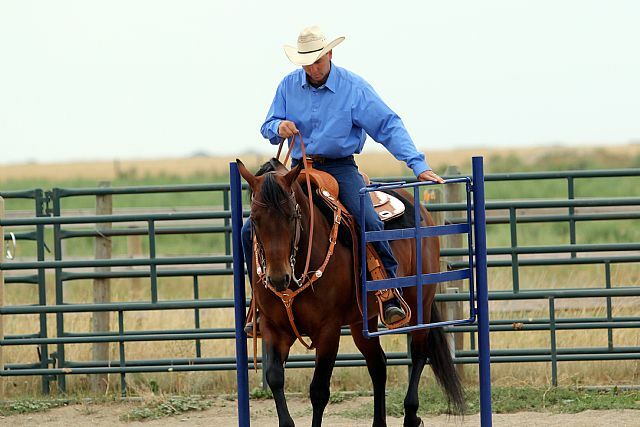 - All-Time Leading Cutting and Reining Sire. - His foals have earned more than $2.2 Million and 15,000 AQHA Points. - Champion Sire AQHA World Show Superhorse. 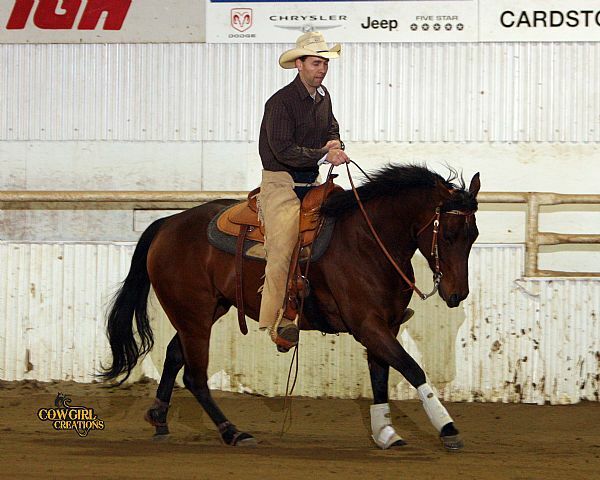 - Sire Multiple AQHA World Champions. - NRCHA All-Time Leading Maternal Grandsire. - Equi-Stat Leading Cutting Maternal Grandsire. Palomino `74 23.0 AQHA Halter Points and 120.0 Performance Points. 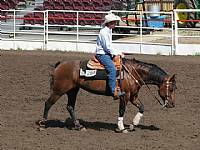 - Performance Point Breakdown - 39 heeling, 28 reining, 31 western pleasure & 22 heading. - 1979 World Show Superhorse. - 1979 World Champion Senior Heading Horse. - 4th, 1979 World Championship Senior Reining. - 6th, 1979 World Championship Senior Heeling. - National Leader in 1978 All-Ages Reining. - AQHA Champion, Superior Steer Roping. - NRHA Hall of Fame. - NRHA #10 All-Time Leading Producer. - AQHA Hall of Fame. - Her foals, grandfoals and great-grandfoals have earned 6,532 AQHA points and $736,709 in earnings. Bay `91 - 0.5 AQHA Performance Points. 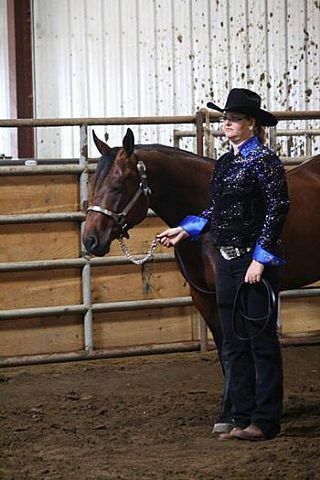 - AQHA Amateur Working Cowhorse point-earner. 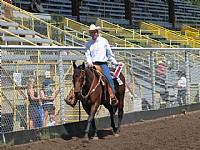 Sorrel `74 - 41.0 AQHA Performance Points. - $172,710.00 in Earnings - 1977 NCHA Open Futurity Champion. 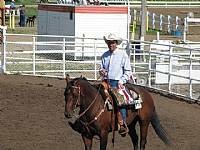 - 1978 NCHA Derby Champion. - NCHA Open Reserve Champion. - NCHA Hall of Fame. - #1 All-Time Leading Cutting Sire. Brown `83 - Dam of 5 performers. Bay `90 - 1.5 AQHA Performance Points. 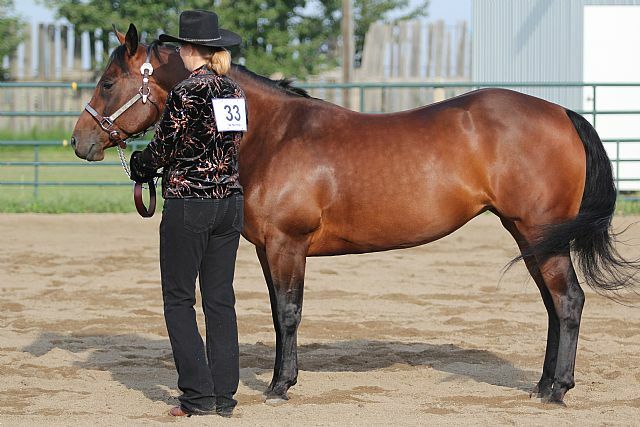 - AQHA Point Earner. - NRHA & NCHA Producer. Bay `79 - 13.0 AQHA Performance Points. - $181,373.00 in NCHA Earnings. - $22,092.00 in NRHA Earnings. - AQHA World Champion Junior Cutting Horse. 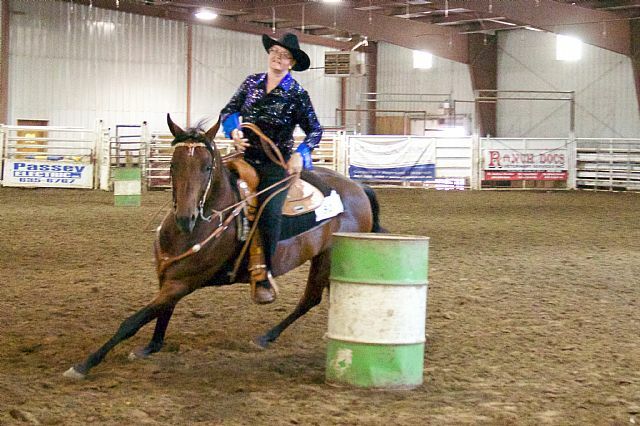 Sorrel `70 - 2.0 AQHA Performance Points. - $16,942.00 in NCHA Earnings. - Sire of AQHA point earners. - Sire of NCHA, NRCHA and NRHA Money Earners. Gray `63 - NRHA World Champion. 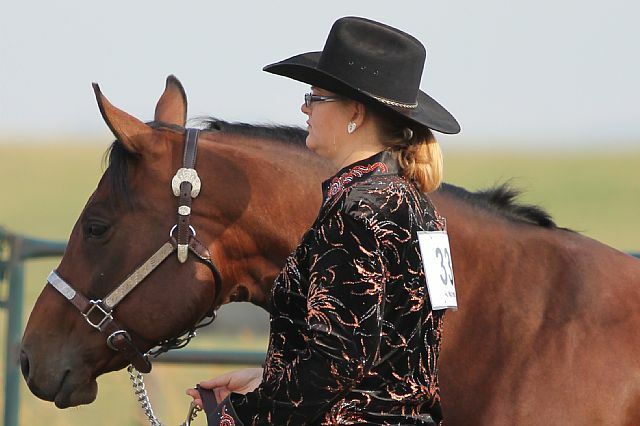 Sorrel `63 - 170.0 AQHA Halter Points and 273.0 Performance Points.